Nearly all manufacturers talk about infrared sauna and pain relief. The health benefits of infrared therapy are many. 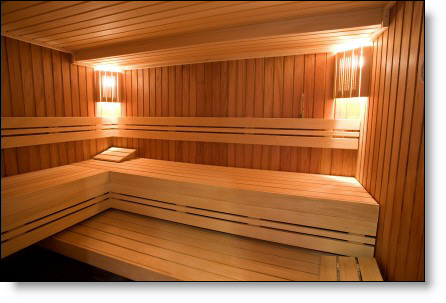 This type of sauna provides radiant heat that penetrates into the body. There is no doubt that there is lots of information out there relative to these saunas. For the purpose of this article, let's cover how these types of saunas can help with pain relief. There are a lot of claims made on the internet as to how this technology can benefit your health. This can lead to a lot of misinformation, which can overshadow the actual real benefits. These exaggerated claims do nothing but confuse people when trying to decide if infrared saunas will work for them. So let's clear a few things up so that you can gain more insight about the infrared sauna and pain relief. First, an infrared session can help you to lose weight but be advised that it will take time, you will not lose ten pounds overnight. When it comes to relieving pain, infrared technology has clinical research behind it. This research offers evidence that heat therapy is effective in relieving common pain conditions, such as lower back pain and menstrual pain. While doing my research on infrared sauna and pain relief, I found a website, operated by a chiropractor who is active in the field since 1968, where you can read up and learn more about back pain causes, treatments and relief. In a specific case study, a seventy year old man with a case of arthritis who had reached his limit for medical treatments began using an infrared sauna. After numerous sauna sessions over a period of five months, his condition had vastly improved. In another case study, a fourteen year old girl who was challenged to even walk down the stairs from severe knee pain since the age of eight - due to rheumatoid arthritis, also began using infrared therapy. After three sessions, she began to feel more agile, enabling her to move with less pain. There are also many other clinical studies that were done in Japan that prove the effectiveness of heat therapy and infrared therapy in relation to rheumatoid arthritis. Numerous other articles can be found that talk about infrared sauna and pain relief. The wonderful thing about the use of a sauna is that it naturally enhances the bodies healing ability. This can have multiple beneficial effects such as easing tension and soothing tense muscles and joints. Additionally, by the very fact that these therapies improve your overall health, you will naturally suffer from less pain, hence rejuvenate your body and boost your immune system, which will aid in prevention rather than put you in a position where you will be desperately seeking a cure. After all, when pain occurs, it has a cause and effect and one should always be working on improving ones health to prevent disease and suffering. It is also our responsibility to take care of our bodies, especially when we have been blessed with good health to begin with. When it comes to the far infrared sauna, the energy released, as mentioned earlier, penetrates deeper into the body and into the muscles. This helps with blood circulation and since the blood is the main transportation system within the body, good blood circulation is imperative for good health, which also helps to improve healing. Good circulation enhances oxygenation of muscle tissue, this again helps to relieve muscle pain, and it also helps with muscle spasms and stiffness. Once again good circulation and oxygenation improves your body's capability of healing itself. Sauna heat therapy is recommended by physicians to treat pain; it can also help to reduce swelling relative to certain injuries. In today's world, we are constantly on the move, which leaves us less time to take care of ourselves. Under constant pressure to live in this competitive world, we begin to lose sight of the fundamentals, one being our health. As a result, we start to eat poorly and exercise less. This begins to wear on our bodies and as we get older, our ability to heal decreases. So it is imperative that you take a little time out for some tender loving care. Your body needs to rejuvenate and with a sauna session, you body can become revitalized, especially when using an infrared sauna. When enjoying your infrared sauna and pain relief, you can also just take time out to relax and unwind, the benefit with the infrared sauna is that you do not have as much heat in the air which makes it easier to breathe and stay in the sauna longer, however, you should not really stay any longer than thirty minutes. However, in this type of sauna, you can sit back and read books and then when you are done take a nice shower. Always make sure to drink enough liquids and if you do this for a few times a week, your body will thank you for it. Return from "Infrared Sauna and Pain Relief"